Makeup routine has been a big part of my life since many years ago, if I'm not feeling particularly lazy on that day, I would definitely wear makeup if there's any activities that involves going out from my house main door and meet people. 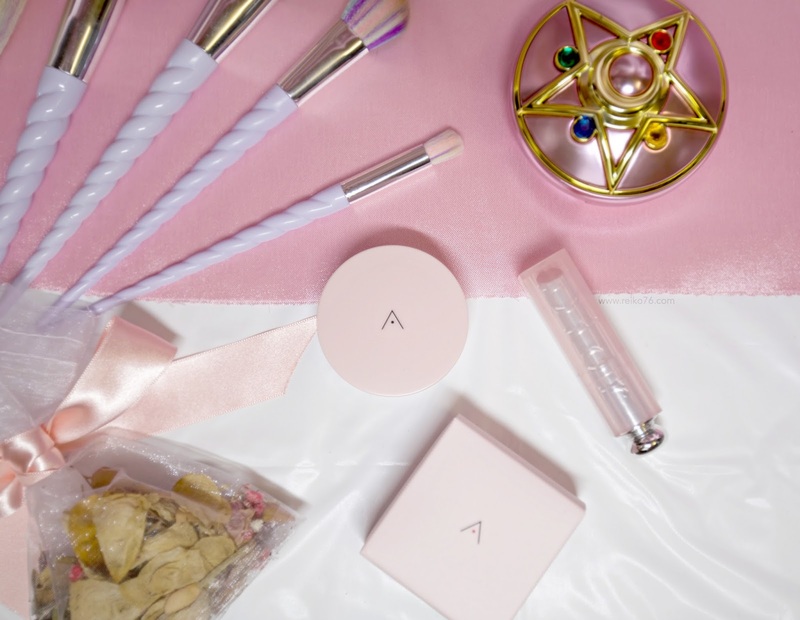 I like to my appearance be beautiful ones and leaves strong impression on others whenever I go to events, hence my makeup always changes style from time to time, and needless to say, the brands that I've tried are countless (that some don't even exist anymore!). 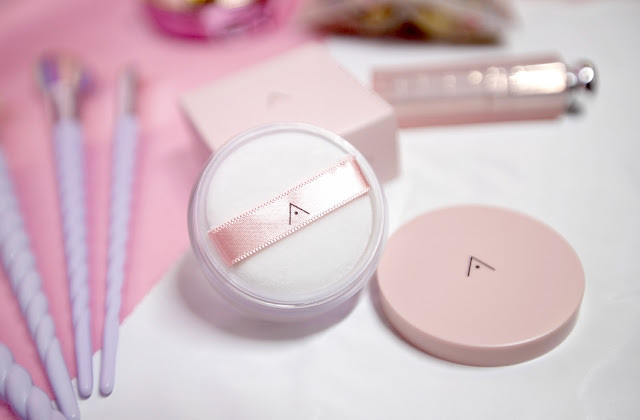 Comes in a handy size, this pastel pink cutie packaging translucent powder is powerful than I thought. Can you imagine your skin transformed into velvety texture just like texture of flower petals? 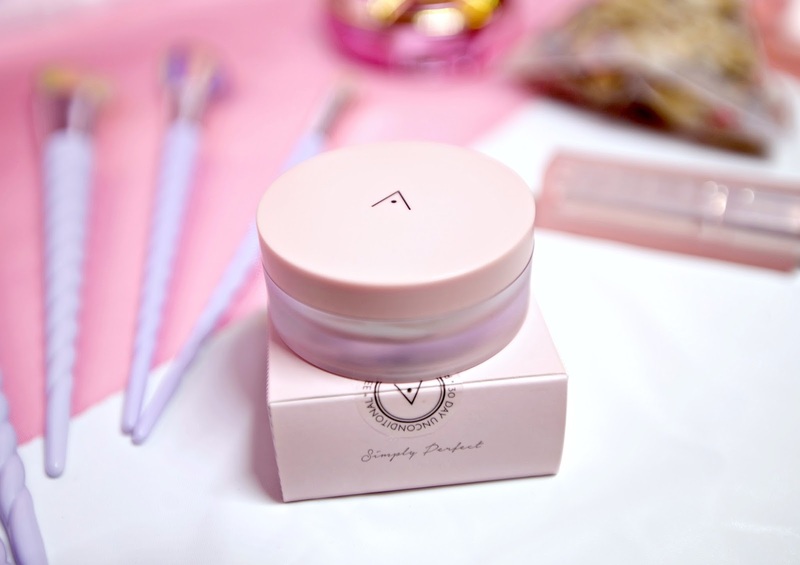 Althea Petal Velvet Powder actually does that! It sets my makeup that is silky soft to touch and smooth to look at. Its oil control function keeps my makeup without melting even on a hot sunny day and I don't "glow" in the end of the day. Fluffy puff that comes along with! Made with pure natural ingredients, its micro-fine particles smoothen my pores appearance and reveal a flawless, smooth complexion that I've always wanted. I guess most of the oily combination skin type girl have the same issue like mine: translucent powder with glossy/shiny particles for dewy skin effect will make my skin look like it's dripping oil in the end of the day. Hence after I wear Althea's Petal Velvet Powder a few times, I'm madly in love with it. full of natural antioxidant, act as barrier to prevent skin dehydration by increasing moisture level. Protect skins from sun exposure and ultraviolet radiation. repair damaged skin cells, restore elasticity to premature skin ageing. Most of all, guess the price of this awesome Korea-made translucent powder.... It's only RM16! Although it is the smallest translucent powder I've ever used but it is the most usefulness too. I can use this powder to set any type of makeup looks without having to worry in the end of the day my face will look super oily plus it gives off the perfect silky finish to my skin I don't really need to soften my skin in photoshop. From the cheapest K-Beauty shopping site to awesome product, thank you Althea for this wonderful flower power experience! I can't wait for your next product! Is this trasculent powder is for all skin tones? Like if one has a dark tone don't you think this powder will be quite white enough for it? Btw i like this product.